Transportation from the airport when you land, every day till the moment we drop you off at the airport again. Hotel accommodation in the first week on basis of night and breakfast. With the 15 days this is the most extended and longest experience of the three. It will take you to all the beautiful sites in the coastal area but then take you to experience the full beuty of the inland with Tendaba and his famous Creek we will see by boat. With this 10 days Experience we will take you again to see all the beautiful sites in the coastal area but then also take you to some of the inland area locations. We will cross with the ferry and visit one of the best Lodges in the Gambia right at the Mangrove. Right after breakfast you walk to the boat that will peddel you into it to make you feel one with nature. On this 7 days Experience we will stay at the beautiful Bamboo hotel which we will use as our daily starting point. .:. Personal or bird list orientated experiences made up to meet your wishes. ​Let us know if you just want to do a simple half a day, a full day or maybe multiple days of bird guiding and we will make it worth you while. We have done two days special couple experience which include two surprising visits to some amazing places even the non birding partners will guaranteed fully appreciate. One on one guiding experiences for the photographer who wants the guide for him self, everything is possible and we always make sure our customer is 100% satisfied. ​For booking or get an offer please click here and scrol down to the appropriate form. Just fill in the form and send your list to us. Our guides will know exactly what Birding hotspots to go to so we can see all the birds you wish to see. .:. 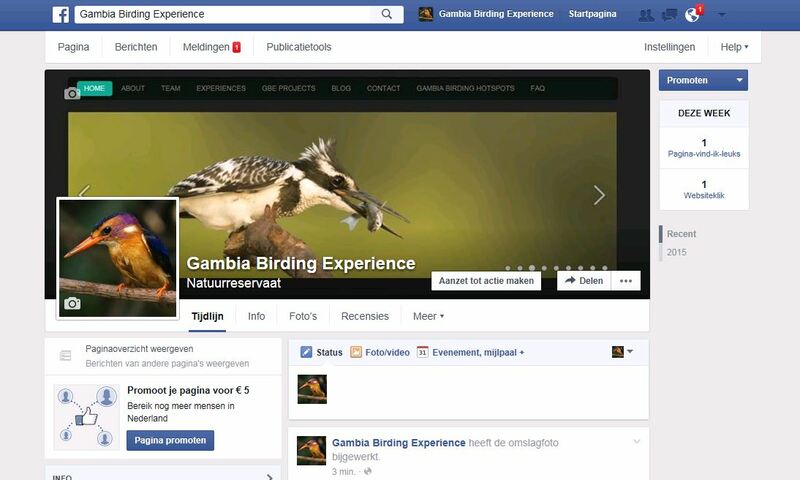 You are in the Gambia now and want a guide? If you are in the Gambia right now and need a guide to show you some hot spots for a day or a view days we can help you out straight away. Just simply fill in our form here and we will get a direct message. We will contact you immediately to make sure we help you out. We will collect you from the hotel or lodge you are staying and take care of everything to make sure you have a great time with us.